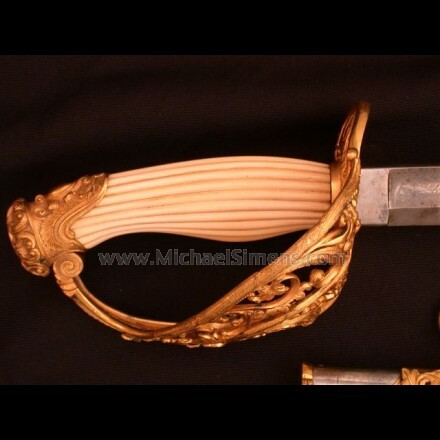 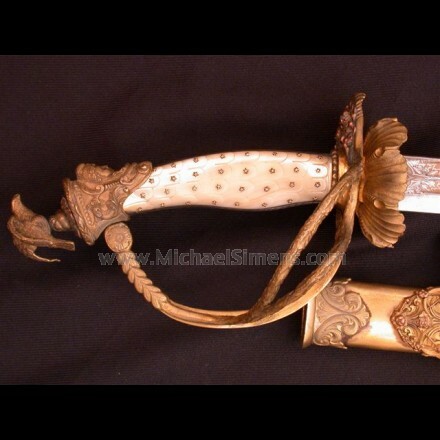 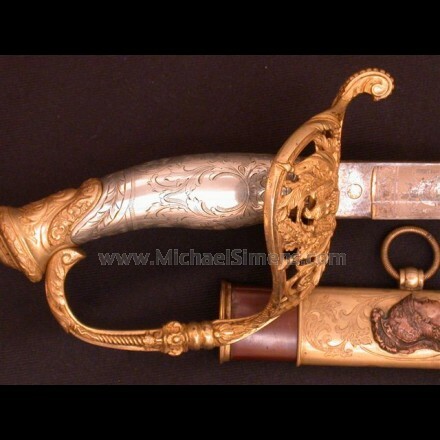 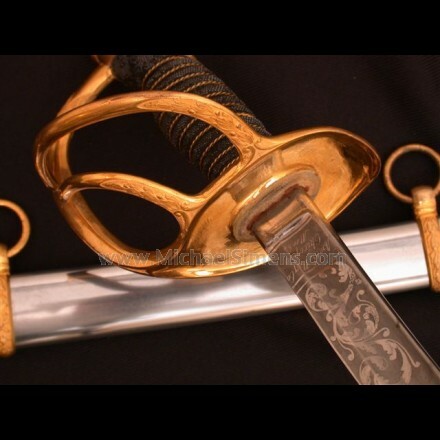 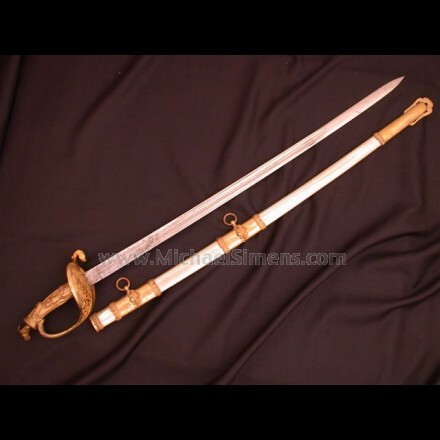 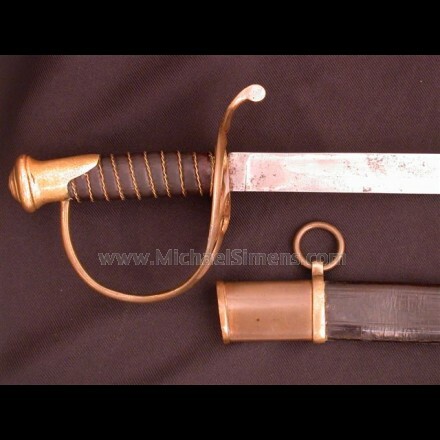 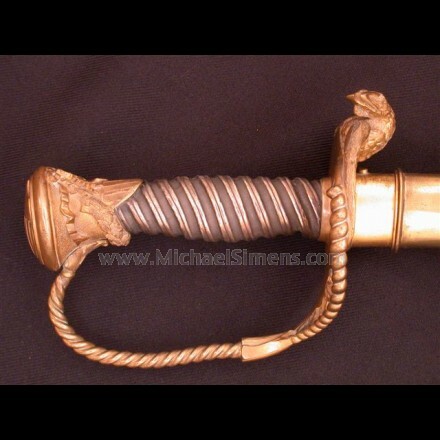 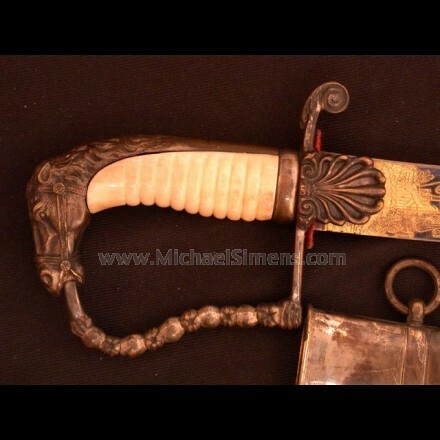 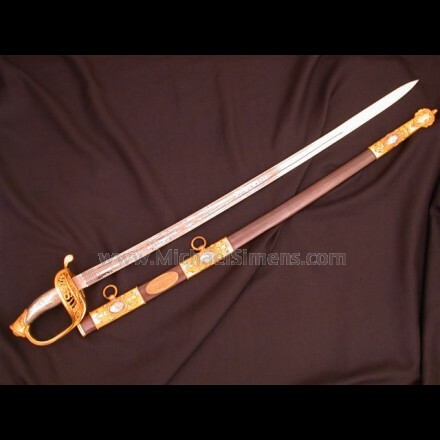 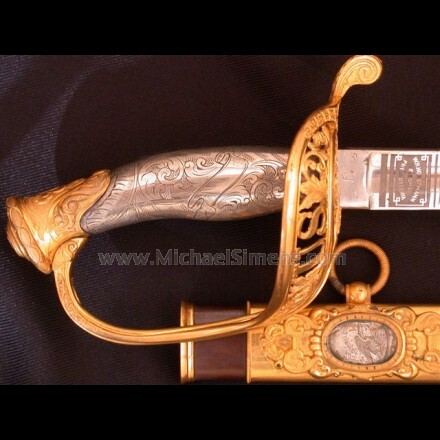 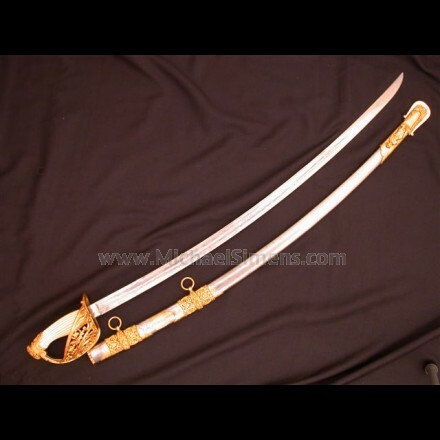 CIVIL WAR CAVALRY SABRE, OFFICERS PRESENTATION GRADE CAVALRY SABRE BY EMERSON & SILVER AND EMBELLISHED BY J.J. HIRSHBUHL OF LOUISVILLE, KENTUCKY. 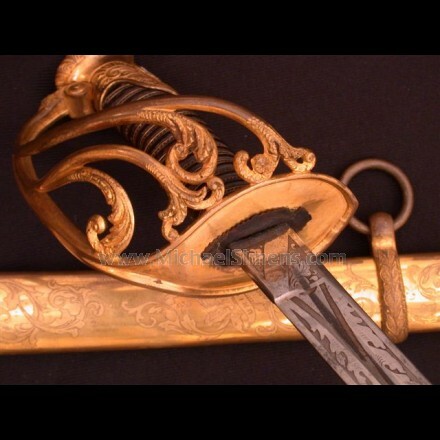 CIVIL WAR TIFFANY SWORD, HISTORICALLY INSCRIBED. 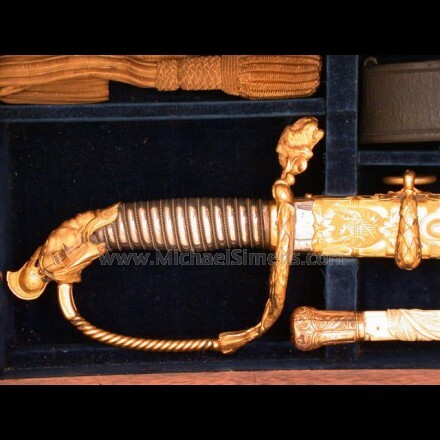 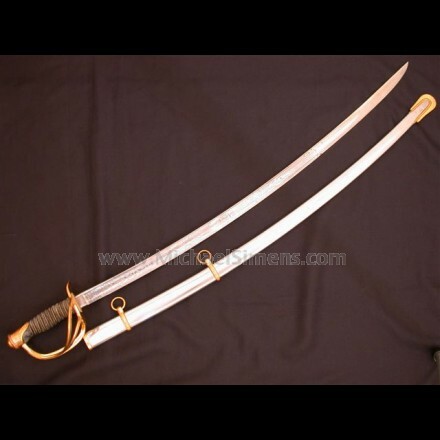 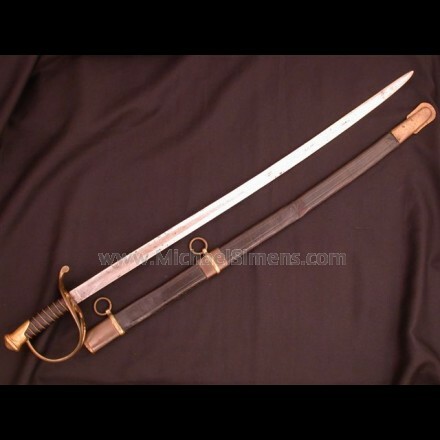 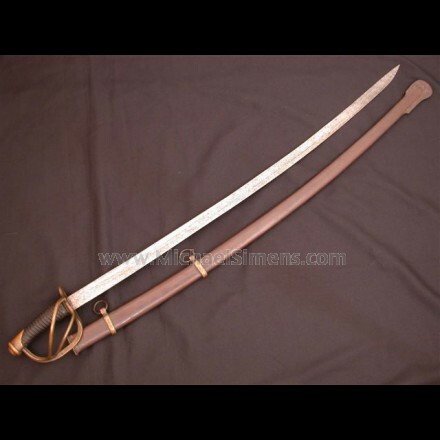 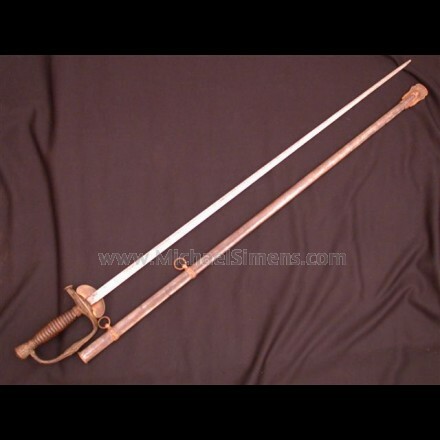 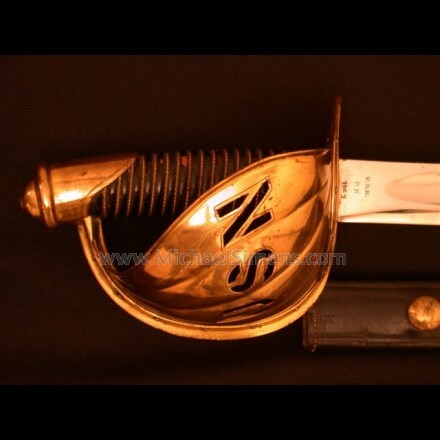 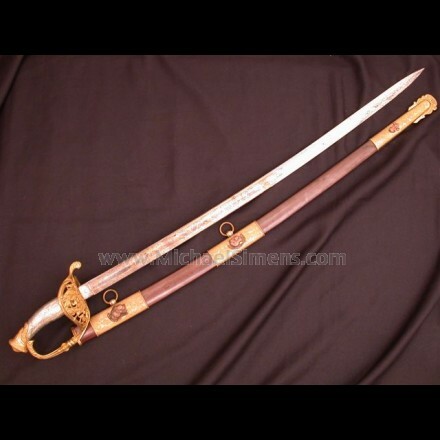 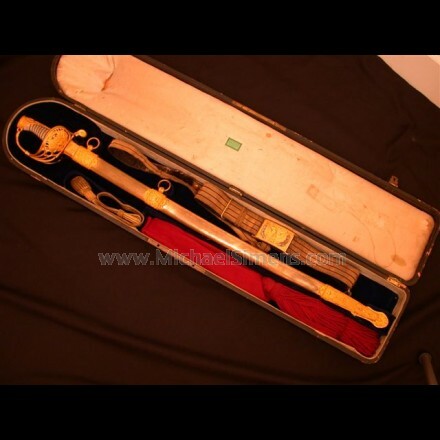 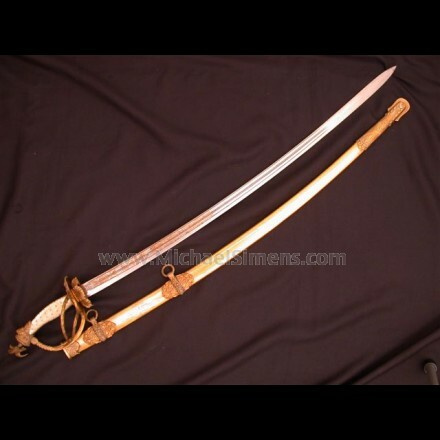 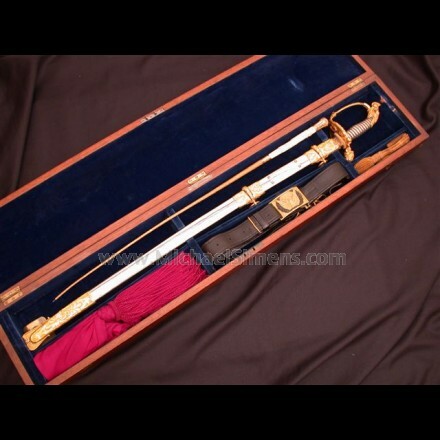 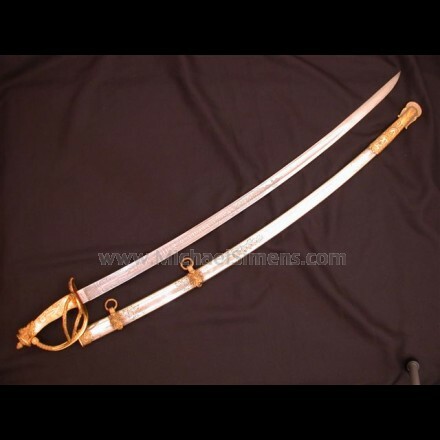 PRESENTATION GRADE AMES CIVIL WAR CAVALRY OFFICERS SABRE. 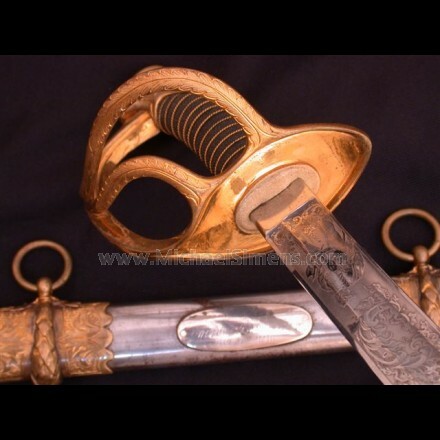 CIVIL WAR 1860 AMES CAVALRY OFFICERS SABRE WITH RARE BRASS MOUNTS. 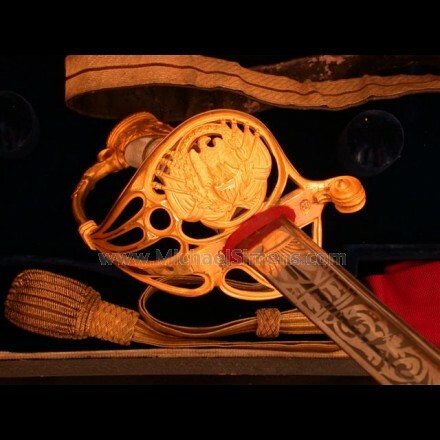 TIFFANY CIVIL WAR CAVALRY SABER / SWORD, PRESENTATION. 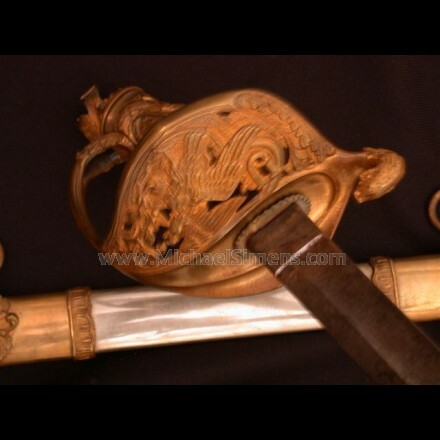 CONFEDERATE SWORD. 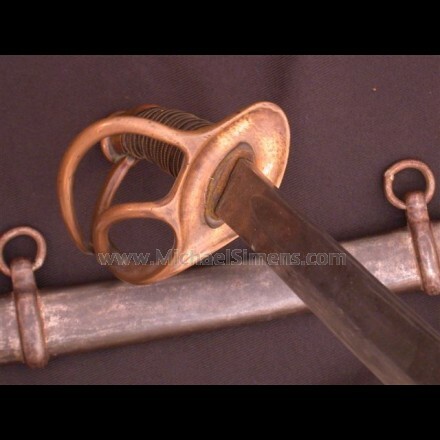 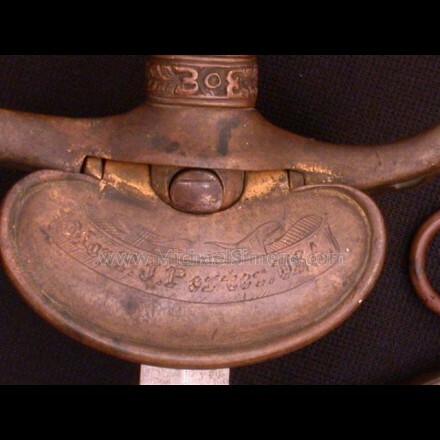 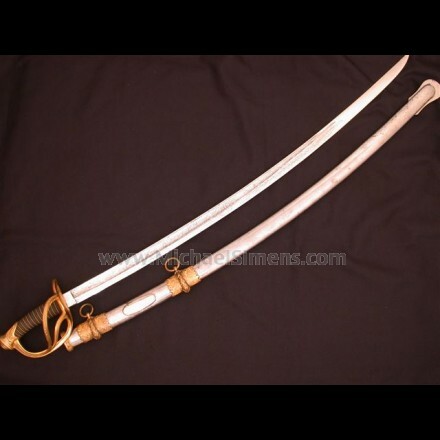 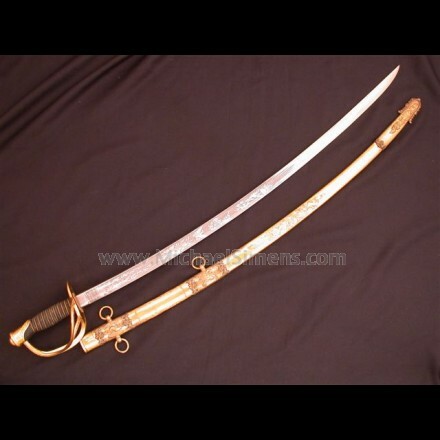 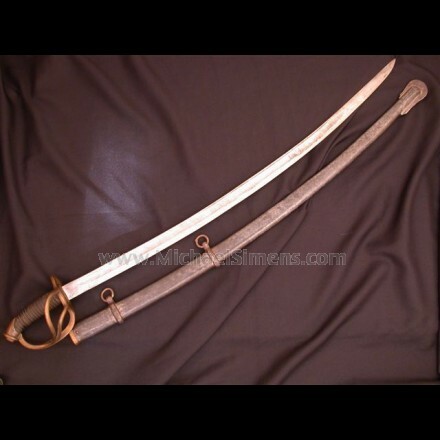 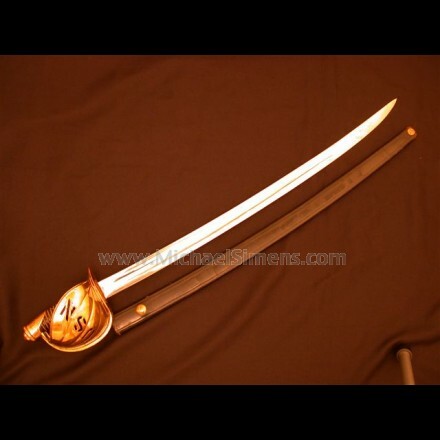 DOG-RIVER CAVALRY SABER, CAPTURE HISTORY. 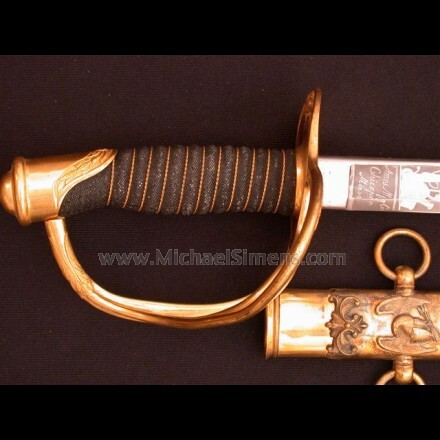 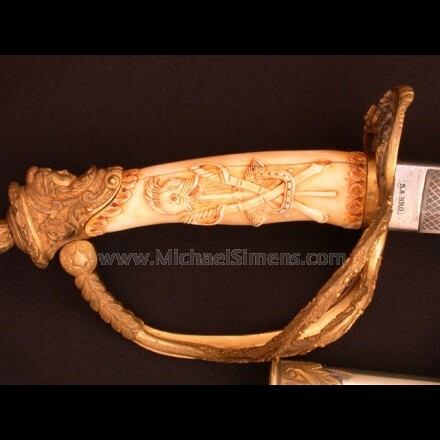 AMES NAVAL OFFICERS CUTLASS. 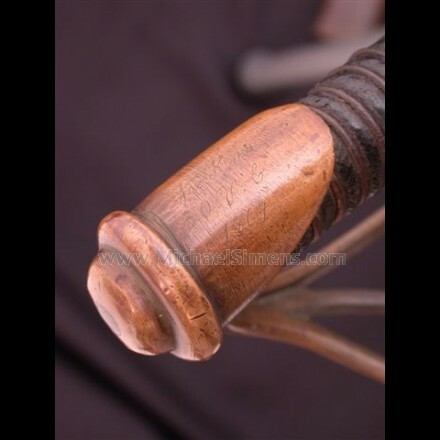 DATED AND INSPECTED. 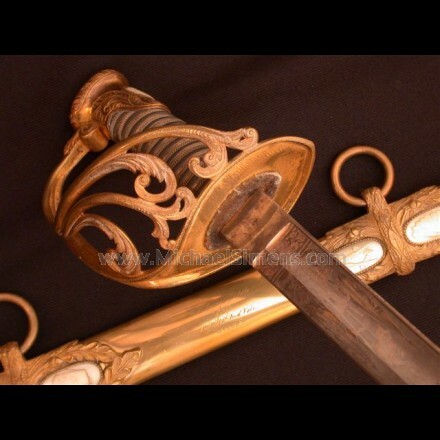 PRESENTATION CIVIL WAR SWORD OF MAJOR GENERAL THOMAS H. RUGER. 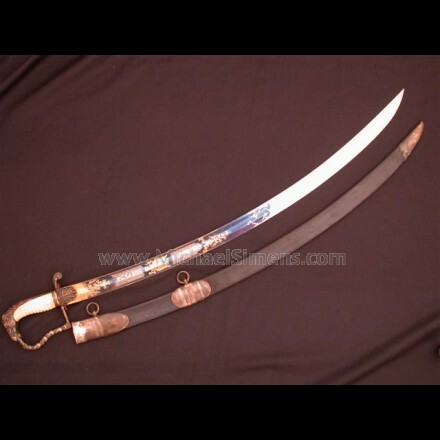 PRICE - $ SOLD !